Growing up I used to hear people say, 'If I'd have known then what I know now'. As a twenty something female it never resonated and I shrugged it off as 'old people talk'. In my thirties there have been multiple times when I thought, I now totally understand. Whether it be bickering relationships, juggling child care or keeping toys in their original boxes, these revelations keep on coming. Yes part of me IS turning into my mother. One thing I wish I had known a decade ago is to invest in my skin. I'm not talking about spending a fortune, just purchasing a few decent products rather than stacking up on glitzy bottles from the beauty aisle. My lust for beautiful French women has been a life long affair and Vogue Paris is one editorial that is part of my monthly essentials. This alongside regular trips to France and a property renovation lead me to spend many an hour perroosing pharmacy shelves. The French are incredible at sampling. You purchase a product and they always fill your bag with pouches and packets to try out later. The reason being their products are very good. The French didn't focus on packaging or branding and most items look like something we would be prescribed for a rash over here but that is definitely part of their charm. My daily routine now consists of just a few products all of which I couldn't live without. My routine is quick and easy as my time is always limited and mornings are mostly spent racing around after a baby whilst getting ready to dash out of the house. I can't imagine not sharing these products with you so here are my absolute cannot live withouts. 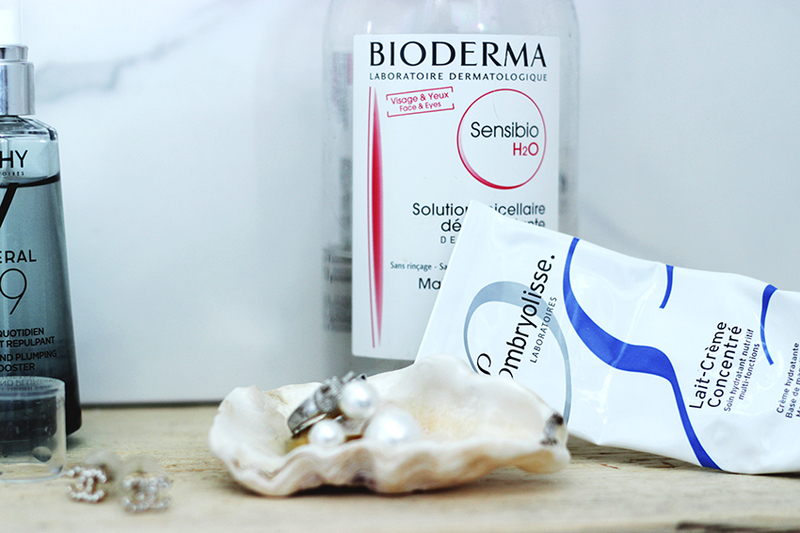 First step is always Bioderma Micella Water. I have used this for over a decade and I will NEVER stop. A sensitive cleansing water that gently removes every speck of make-up, dirt and grime with zero effort. A sweep on a cotton wool pad morning and night leaves skin clear, blemish free and hydrated. If you buy one product make it this. 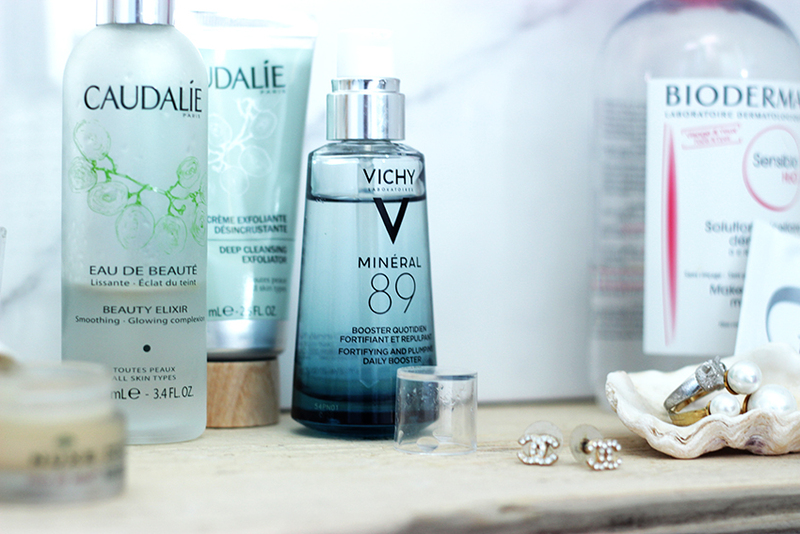 Next step for that boost of hydration and to plump the skin add Vichy's Mineral 89 Serum to your routine. Just a quick smoothing morning and night and within a week your skin will have lost any dryness or sensitivity. This cold weather was leaving my skin tired and dull and this recent addition has worked miracles. You get a lot for your money here. I must have tried a thousand moisturisers over the years and I have found two things. Firstly my skin is completely different between May-October to November-April. You probably find you need to switch up your products at least once a year too? Lighter shades of foundation, more hydrating creams? Yep me too. Secondly, don't be fooled by a pretty bottle or eye catching brand. 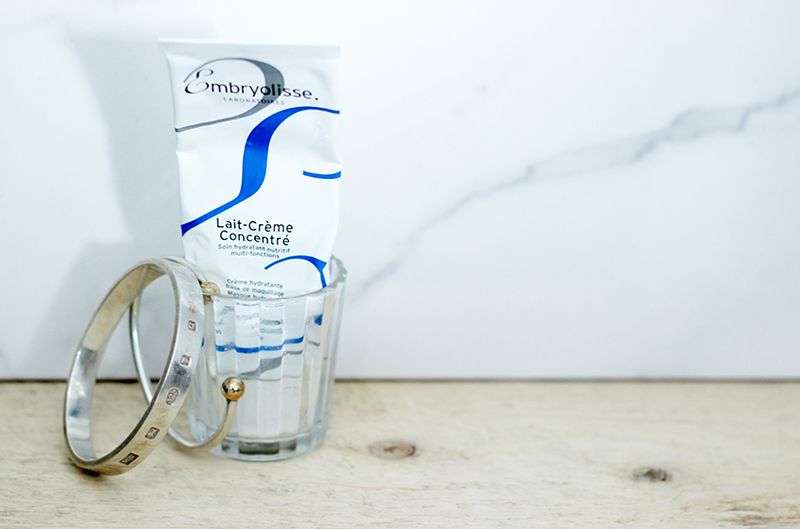 My go-to moisturising cream for most of the year is Embryolisse Lait-Creme Concentre. Until recently this was impossible to get hold of anywhere other than over the counter in the depths of France but now it is a little easier. This cream smooths on beautifully, sinks in and leaves a smooth finish more like a primer ideal for make-up application. I am not sure it can be beaten. For an in-depth treatment use as a mask. A French girl favourite, Nuxe Reve de Miel is a highly nourishing lip balm and an essential for handbag and bedside table. It's honey based formula soothes and repairs chapped dry lips. For extra hydration use a generous coating as a mask on dry lips when going to bed. 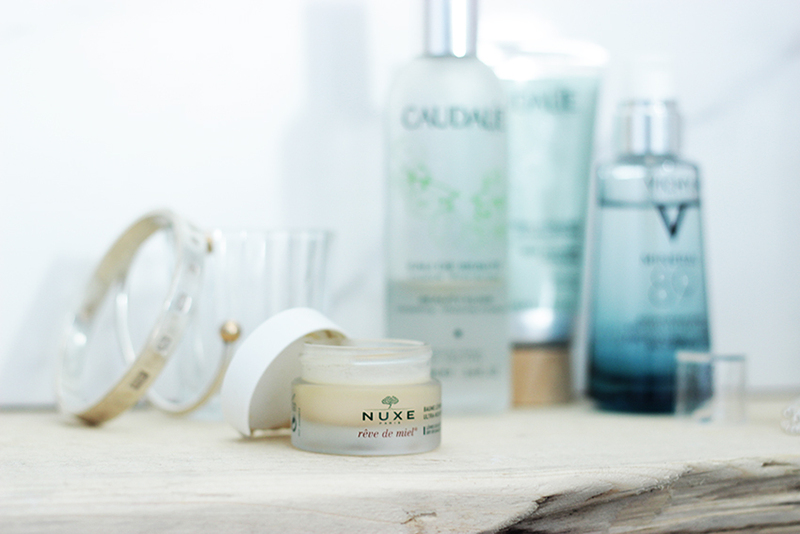 Caudalie has to be my overall favourite beauty brand having never tried anything I didn't love. Their cult classic Beauty Elixir is basically a facial in a bottle. A spritz or two of the radiance boosting mist hydrates skin, tightens pores and basically makes you glow! It smells amazing and wakes you up instantly. You can even use it throughout the day over your make-up. I keep a large bottle in my bathroom and a small one in my handbag for a quick shake-and-wake. The brands Deep Cleansing Exfoliator is ideal for brightening dull skin. It's micro particles and grape pulp leave skin soft and fresh. These products are now ALL available in the UK so you don't need to wait until your next trip to France for better skin. I've added the best places to shop below for you so let me know what you think and how you get on.